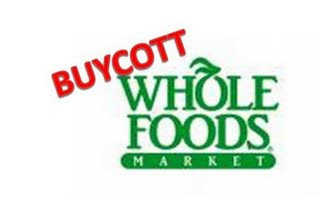 BUYCOTT to support Whole Foods Market and Free Speech! After the recent attacks on Whole Food Markets by leftist thugs and hippies the St. Louis Tea Party Coalition has coordinated a "buycott" at Whole Foods on Tuesday September 1st in the evening. Gina Loudon can be contacted by email at Gina@stlouisteaparty.com. The Nationwide Tea party Coalition is also supporting this effort.